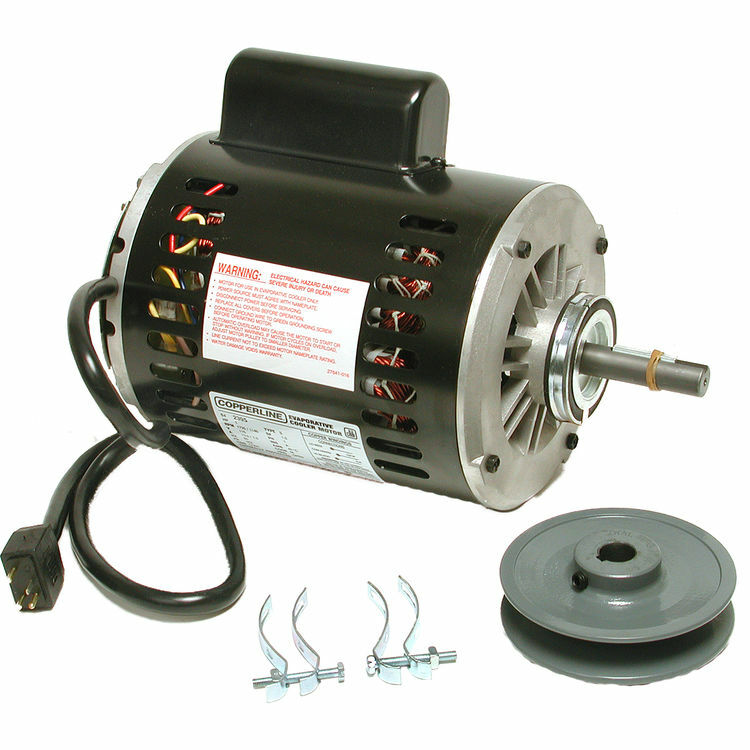 The Dial 2577 Copperline Single Inlet Mini-Plug Motor Kit (115V) is a highly-reliable, durable product from Dial. With all copper windings and a special mini plug and cord, this 1 HP 2-Speed motor kit fits all Mastercool coolers made before 2009. It comes with an adjustable iron pulley and motor clamps, and has an AMP rating of 13/7.